Looking for a serious fishing boat you can easily trailer? Look no further than Starcraft’s 196 Fishmaster. 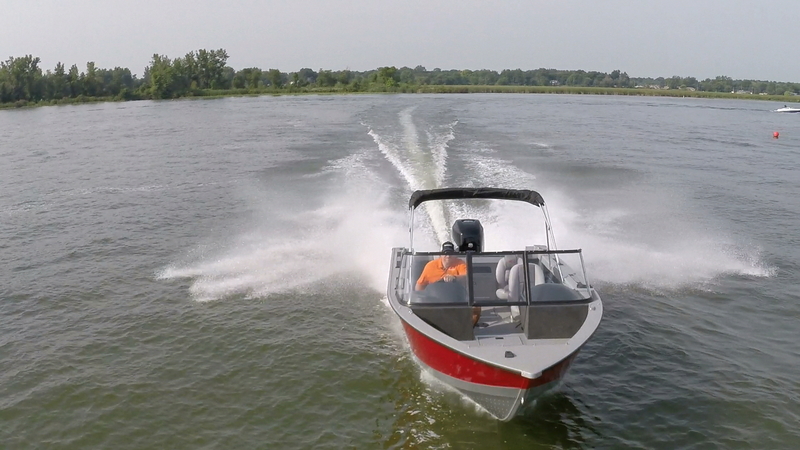 The aluminum hull keeps it light – just 1400 pounds – but it’s also tough-as-nails. 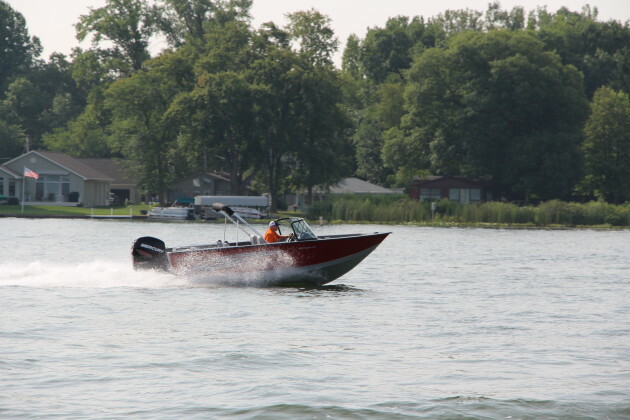 And the company stands behind that too with a limited lifetime warranty on the hull and structure and a six-year warranty on all components, upholstery and electronics. So your only concern should be where the fish are. And in that regard, you shouldn’t worry too much. With a max rating of 200 horsepower you can get where you’re going in a hurry. 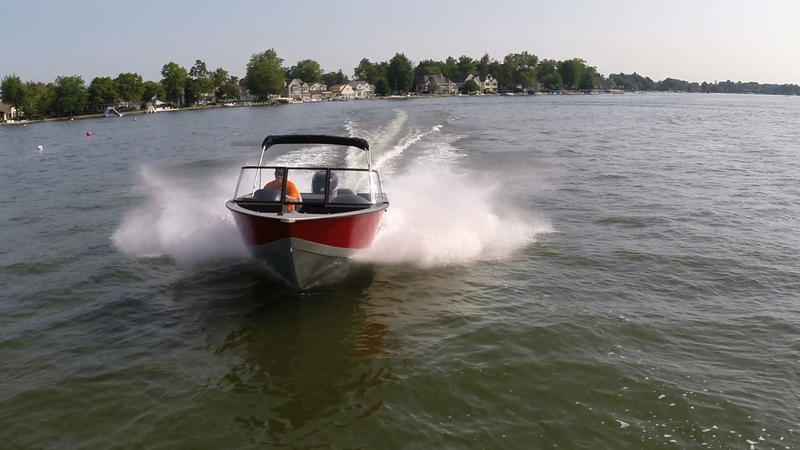 Tested with a Mercury Verado Pro 200, we ripped across the lake at a top speed, just a hair under 50 miles per hour, and comfortably cruised at a peppy 37-and-a-half mph at 4300 rpm. Acceleration, too, is impressive. It reaches zero-to-20 mph in just 4.3 seconds. 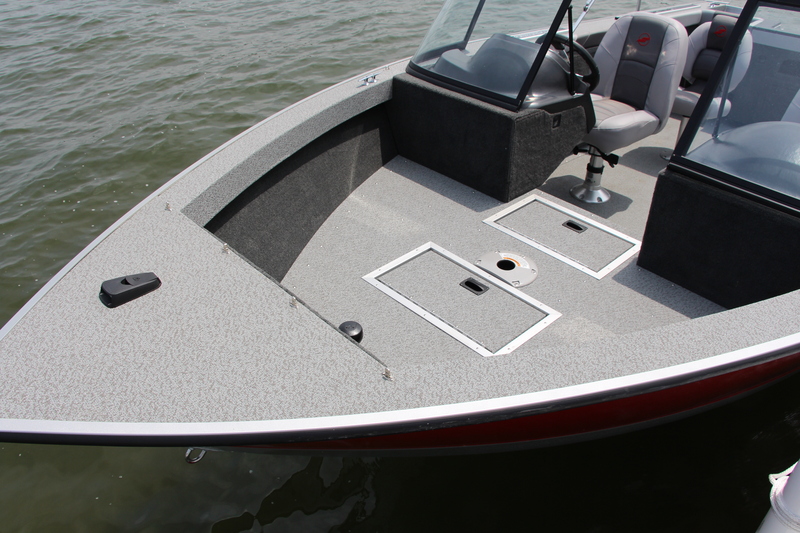 The hull, constructed of 5052 H34 Marine Grade Aluminum, is tough, but foam injected between the floor and hull make it a quiet ride. Even as we cut through the choppy conditions on test day it was smooth and confident. The design of the boat is as impressive as the materials used to make it. 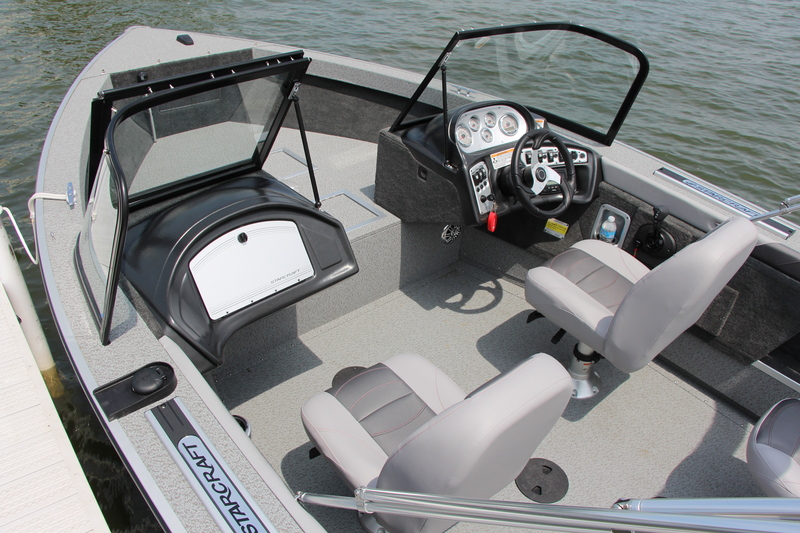 A high freeboard and full-beam windshield make this fishing boat a warm and dry ride. It also makes this Starcraft a capable big-water fishing boat and one that can extend your season. You’ll get to your favourite fishing spots quickly, comfortably and all while staying dry. The fold-down, two-tone seats can be moved around the boat including up to the casting platform. They are sturdy, yet soft enough to enjoy the ride. 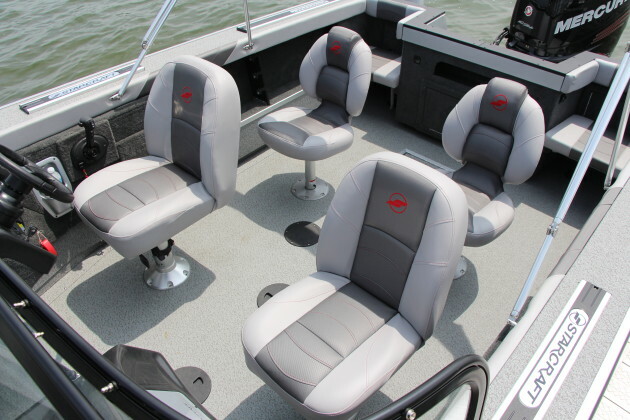 If you fill the boat – which isn’t difficult since the Fishmaster has a maximum capacity of 9 persons – you have an easy work-around for more seating. At the rear, are transom jump seats at both the port and starboard sides. The seat cushions easily pop in or out. When in, they give more solid seating; when out, the floor space is extended to fight that epic catch or to work the net. The bow-casting platform is raised and roomy. 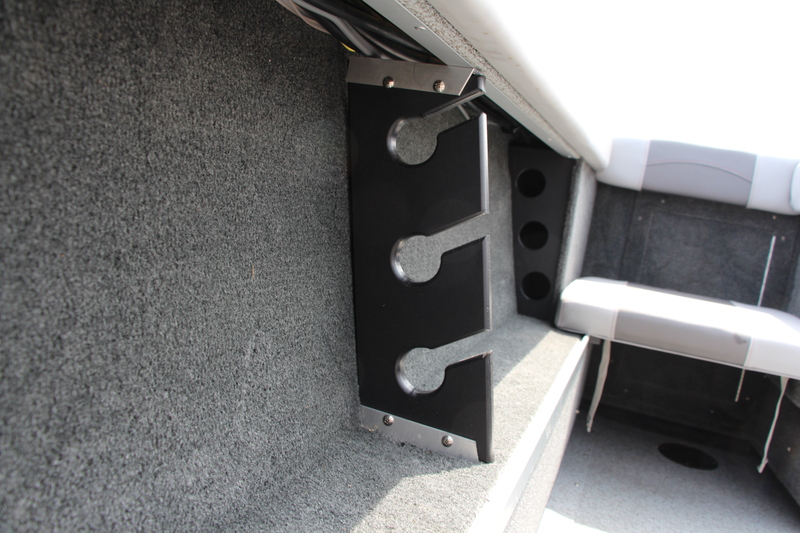 In the floor you’ll find storage and a massive, 41-gallon livewell and at the very tip of the bow is a lockable storage compartment. Moving back through the walk-through, split windshield there is lots of open space – especially if you take off the bimini top. 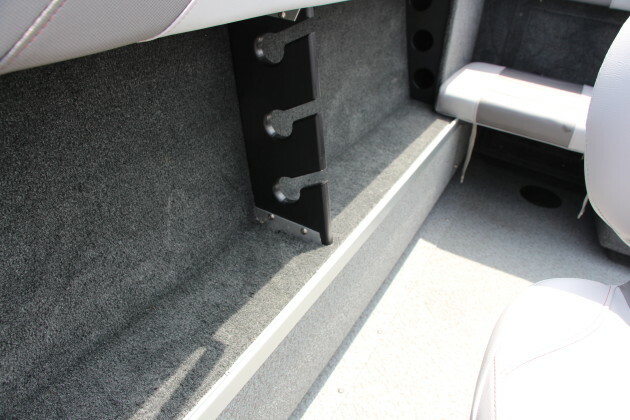 Large storage compartments in-floor and in the transom offer plenty of room for life jackets, fishing gear or even a small cooler. Along the port and starboard sides is long rod storage so everything can be tucked away when you’re running. 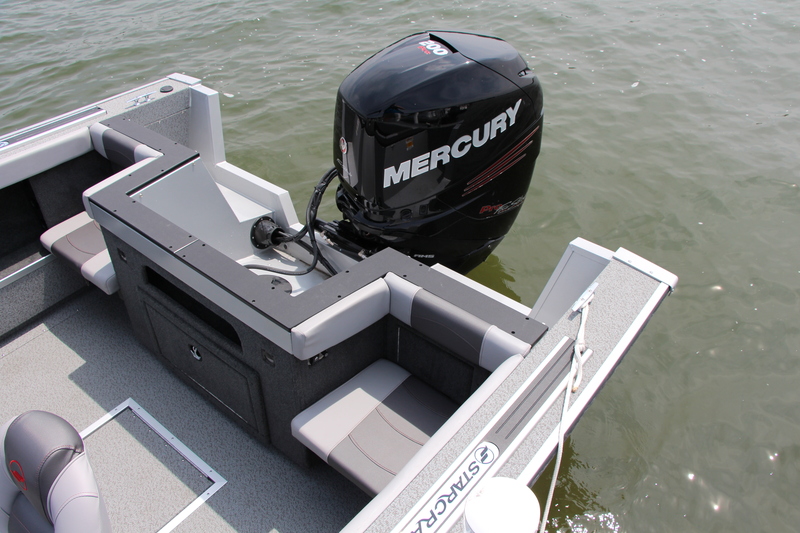 The helm is sleek and well laid out and looks like a top-notch fishing boat. 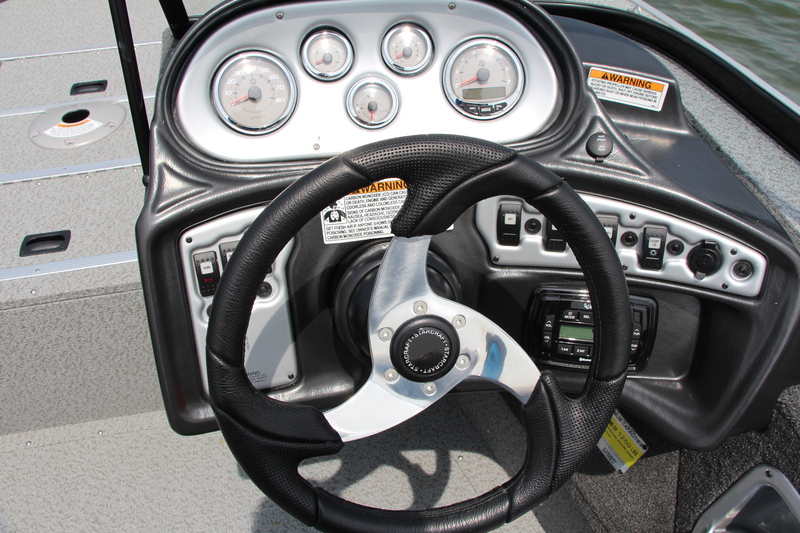 Lighted gauges, rocker switches and stereo controls are all within easy reach. 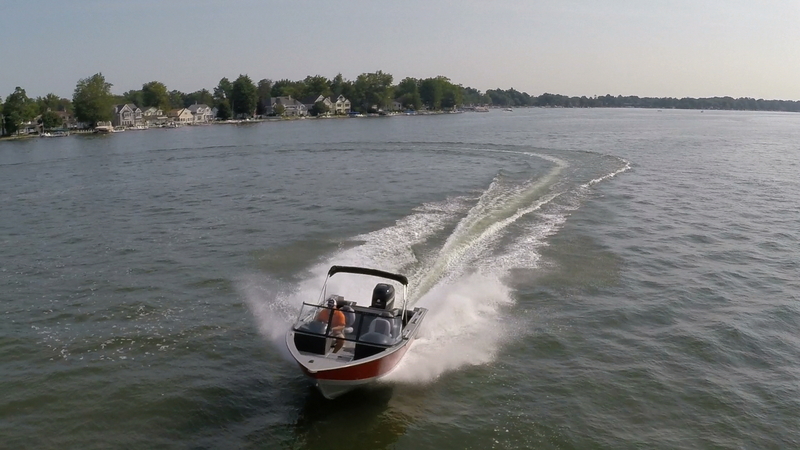 There’s room and power for sonar fish finders to customize your boat with all the high-tech toys you can shake a rod at. And if you are shaking that rod around and the fish are flopping about the deck you needn’t fret. The vinyl flooring throughout makes clean up a breeze. With the Starcraft Fishmaster 196 you’ve got a tournament-quality fishing boat in an accessible – and fun – package. 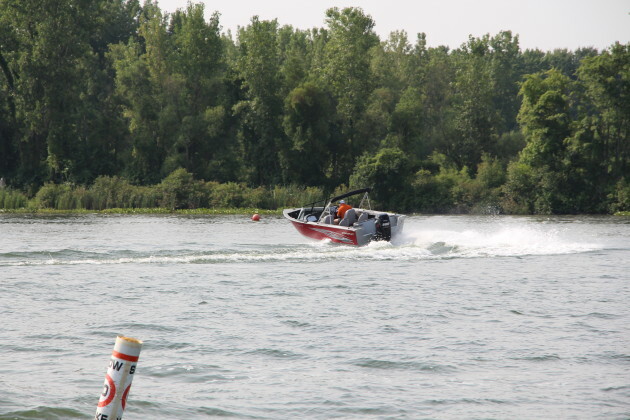 This profile is featured in the Spring 2015 issue of Boats&Places.